At Florence Melly we are: skilled readers, confident writers, mathematicians, scientists, historians, geographers, musicians, artists, linguists, theologists, athletes, digital nomads, designers and technologists, inclusive and diverse. We want our children to have no limits to what their ambitions are and want them to embody our core values. We all believe that: “if you can DREAM it, you can do it”. Our curriculum is carefully crafted so that our children develop their academic, social and cultural capital. Our curriculum promotes curiosity and a love and thirst for learning. It is ambitious and empowers our children to become independent and resilient. We strive for academic excellence and want our children to have high aspirations. We want them to have no limits to what their ambitions are and want them to embody our core values. We all believe that: “if you can DREAM it, you can do it”. We encourage our children to celebrate success and build on disappointment in order to develop resilience. We want to equip them with not only the minimum statutory requirements of the National Curriculum but to prepare them for the opportunities, responsibilities and experiences of later life. We want our children to use the vibrancy of our great city to learn from other cultures, respect diversity, co-operate with one another and appreciate what they have. We achieve this by providing a strong SMSC curriculum, with British Values and our core values placed at the heart of everything we do. We enrich their time in our school with memorable, unforgettable experiences and provide opportunities which are normally out of reach. 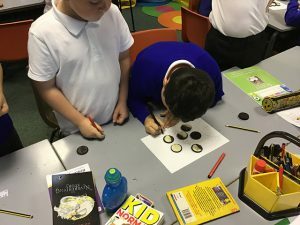 We firmly believe that it is not just about what happens in the classroom, it is about the added value we offer to really inspire our children. 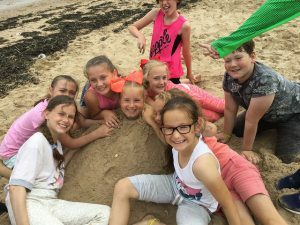 Our curriculum has been carefully built and the learning opportunities and assessment milestones for each year group crafted to ensure progression and repetition in terms of embedding key learning, knowledge and skills. Subject leaders have developed subject specific characteristics which we expect the children to demonstrate in each discrete subject area. These characteristics underpin all work in these subjects and form a focal point for display areas and provide a common subject specific vocabulary for staff and pupils. 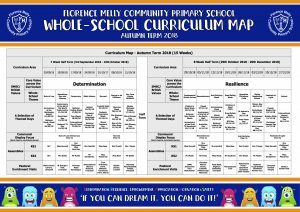 We have six school values which permeate all aspects of life at Florence Melly Community Primary. These values are centred round the acronym: DREAMS. Each half-term is allocated to one of these core values and these are explored as a whole-school theme. 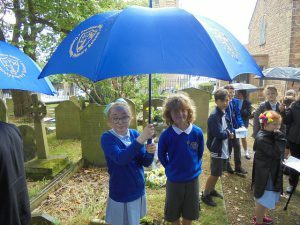 Weekly themes, under the core values umbrella theme, form the focus for our SMSC lessons and assemblies. 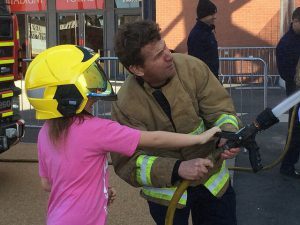 For example, during our Safety themed half-term – our children explore themes such as ‘NSPCC Speak Out, Stay Safe’, ‘Share Aware Online Safety’ and ‘Different Families, Same Love’. We empower our staff to organise their curriculum as they see fit to best suit the needs of the pupils in their care. They are best placed to make these judgements. Staff develop year group specific long-term curriculum maps which identify when the different subjects and topics will be taught across the academic year. The vast majority of subjects are taught discretely but staff make meaningful links across subjects to deepen children’s learning. Our short-term plans are produced on a weekly and daily basis. We use these to set out the learning objectives for each lesson, identifying engaging activities and resources which will be used to achieve them. We encourage staff to teach a weekly lesson for each of the foundation subjects and the core subject of science. This helps to ensure sufficient time is allocated to each subject area. We use both formative and summative assessment information every day, in every lesson. Staff use this information to inform their short-term planning and short-term interventions – including in the foundation subjects. This helps us provide the best possible support for all of our pupils, including the more able. Subject leaders have mapped out the assessment milestones for each phase and further broken these objectives down for each year group in each subject area. Our staff use formative assessment grids to systematically assess what the children know as the topic progresses and inform their future planning. These formative assessment grids then inform summative assessment judgements for each topic in every foundation subject area (and science). Assessment information is analysed by Subject Leads, the Assessment Lead and Headteacher as part of our monitoring cycle. Pupil progress reviews are conducted half termly (formative) and termly (summative). This process provides the SLT and Governors with an accurate and comprehensive understanding of the quality of education in our school. We set out our monitoring cycle at the beginning of each academic year. This identifies when monitoring for all year groups is undertaken in all subject areas. Monitoring includes: book scrutinies, lesson observations and/or learning walks, pupil/parent and/or staff voice. All of this information is gathered and reviewed. It is used to inform further curriculum developments and provision is adapted accordingly. Please use the links below to access information, curriculum maps, assessment milestones and photographs relating to individual subject areas. At Florence Melly Community Primary School, we value Art & Design. We are ARTISTS! Art, craft and design embody some of the highest forms of human creativity. A high-quality art and design education should engage, inspire and challenge pupils, equipping them with the knowledge and skills to experiment, invent and create their own works of art, craft and design. 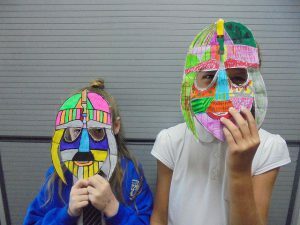 As pupils progress, they should be able to think critically and develop a more rigorous understanding of art and design. They should also know how art and design both reflect and shape our history, and contribute to the culture, creativity and wealth of our nation. At Florence Melly Community Primary School, we value Geography. WE ARE GEOGRAPHERS! A high-quality geography education should inspire in pupils a curiosity and fascination about the world and its people that will remain with them for the rest of their lives. Our Geography curriculum aims to equip pupils with knowledge about diverse places, people, resources and natural and human environments, together with a deep understanding of the Earth’s key physical and human processes. 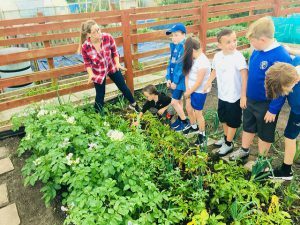 As our pupils progress, their growing knowledge about the world will help them to deepen their understanding of the interaction between physical and human processes, and of the formation and use of landscapes and environments. Geographical knowledge, understanding and skills provide the frameworks and approaches that explain how the Earth’s features at different scales are shaped, interconnected and change over time. At Florence Melly Community Primary School, we value Design Technology. WE ARE DESIGNERS and TECHNOLOGISTS! Design and technology is an inspiring, rigorous and practical subject. 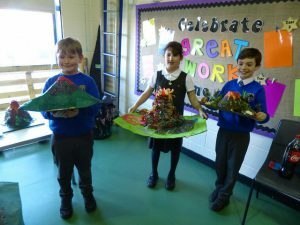 Using creativity and imagination, pupils design and make products that solve real and relevant problems within a variety of contexts, considering their own and others’ needs, wants and values. They acquire a broad range of subject knowledge and draw on disciplines such as mathematics, science, engineering, computing and art. 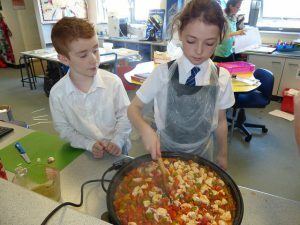 Pupils learn how to take risks, becoming resourceful, innovative, enterprising and capable citizens. Through the evaluation of past and present design and technology, they develop a critical understanding of its impact on daily life and the wider world. High-quality design and technology education makes an essential contribution to the creativity, culture, wealth and well-being of the nation. At Florence Melly Community Primary School, we value Science. WE ARE SCIENTISTS! A high-quality science education provides the foundations for understanding the world through the specific disciplines of biology, chemistry and physics. Science has changed our lives and is vital to the world’s future prosperity, and all pupils should be taught essential aspects of the knowledge, methods, processes and uses of science. 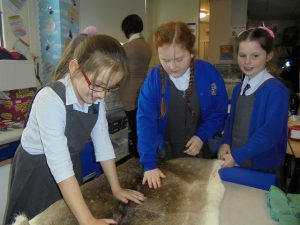 Through building up a body of key foundational knowledge and concepts, pupils should be encouraged to recognise the power of rational explanation and develop a sense of excitement and curiosity about natural phenomena. They should be encouraged to understand how science can be used to explain what is occurring, predict how things will behave, and analyse causes. At Florence Melly Community Primary School, we value Religious Education. WE ARE THEOLOGISTS! Religious education contributes dynamically to children and young people’s education in schools by provoking challenging questions about meaning and purpose in life, beliefs about God, ultimate reality, issues of right and wrong and what it means to be human. In RE children learn about and from religions and world views in local, national and global contexts, to discover, explore and consider different answers to these questions. They learn to weigh up the value of wisdom from different sources, to develop and express their insights in response and to agree or disagree respectfully. Teaching therefore should equip pupils with systematic knowledge and understanding of a range of religions and world views, enabling them to develop their ideas, values and identities. It should develop in pupils an aptitude for dialogue so that they can participate positively in our society with its diverse religions and world views. Pupils should gain and deploy the skills needed to understand, interpret and evaluate texts, sources of wisdom and authority and other evidence. They learn to articulate clearly and coherently their personal beliefs, ideas, values and experiences while respecting the right of others to differ. At Florence Melly Community Primary School, we value History.WE ARE HISTORIANS! 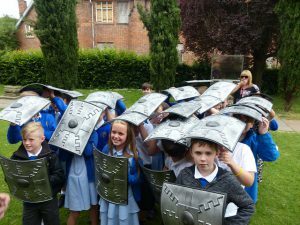 A high-quality history education will help pupils gain a coherent knowledge and understanding of Britain’s past and that of the wider world. It should inspire pupils’ curiosity to know more about the past. Teaching should equip pupils to ask perceptive questions, think critically, weigh evidence, sift arguments, and develop perspective and judgement. 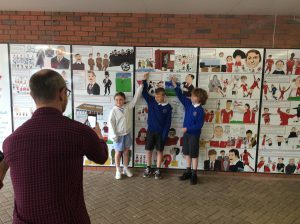 History helps pupils to understand the complexity of people’s lives, the process of change, the diversity of societies and relationships between different groups, as well as their own identity and the challenges of their time. At Florence Melly Community Primary School, we value Physical Education. WE ARE ATHLETES! A high-quality physical education curriculum inspires all pupils to succeed and excel in competitive sport and other physically-demanding activities. 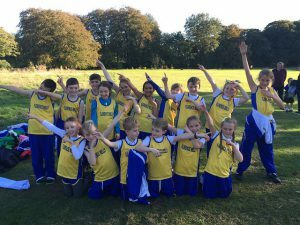 It should provide opportunities for pupils to become physically confident in a way which supports their health and fitness. 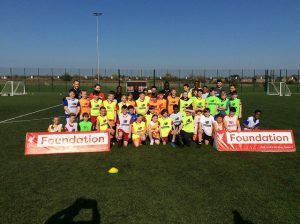 Opportunities to compete in sport and other activities build character and help to embed values such as fairness and respect. At Florence Melly Community Primary School, we value Music. WE ARE MUSICIANS! Music is a universal language that embodies one of the highest forms of creativity. 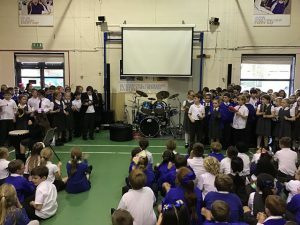 A high- quality music education should engage and inspire pupils to develop a love of music and their talent as musicians, and so increase their self-confidence, creativity and sense of achievement. 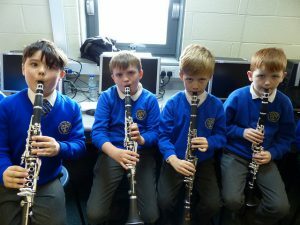 As pupils progress, they should develop a critical engagement with music, allowing them to compose, and to listen with discrimination to the best in the musical canon. 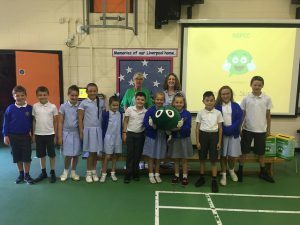 At Florence Melly Community Primary School, we value Computing. WE ARE DIGITAL NOMADS! 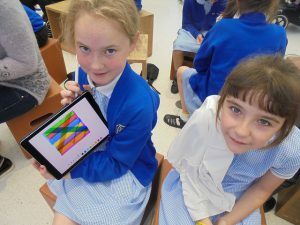 A high-quality computing education equips pupils to use computational thinking and creativity to understand and change the world. Computing has deep links with mathematics, science, and design and technology, and provides insights into both natural and artificial systems. The core of computing is computer science, in which pupils are taught the principles of information and computation, how digital systems work, and how to put this knowledge to use through programming. 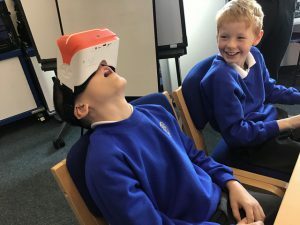 Building on this knowledge and understanding, pupils are equipped to use information technology to create programs, systems and a range of content. Computing also ensures that pupils become digitally literate – able to use, and express themselves and develop their ideas through, information and communication technology – at a level suitable for the future workplace and as active participants in a digital world. 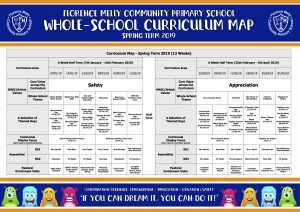 At Florence Melly Community Primary School, we value SMSC. WE ARE INCLUSIVE and DIVERSE! We actively promote the spiritual, moral, cultural, mental and physical development of pupils at our school. 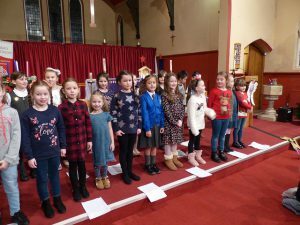 This involves collective worship, establishing a strong school ethos supported by effective relationships throughout the school, and providing relevant activities beyond the classroom to ensure pupils’ SMSC development. Through a high-quality SMSC curriculum we promote the fundamental British values. Our pupils understand that while different people may hold different views about what is ‘right’ and ‘wrong’, all people living in England are subject to its law. Our pupils are encouraged to regard people of all faiths, races and cultures with respect and tolerance. Our DREAMS core values underpin all aspects of school life. We challenge opinions or behaviours in school that are contrary to fundamental British values. Phonics in the EYFS is taught using a combination of Letters and Sounds and Jolly Phonics. A parent guide is available using this link (Jolly Phonics Parent Guide) and provides background information on the Jolly Phonics programme and also suggests products that would be suitable for use in the home. In KS1, phonics is taught using the School Improvement Liverpool KS1 Phonics Planning Document. The guided reading scheme that we have adopted across the whole-school is ‘Collins Big Cat’. Please visit http://www.collins.co.uk/page/Collins+Big+Cat for further information. Three Prime areas of learning: Communication and language, Physical development and Personal, Social and Emotional development. Four specific areas of learning: Literacy, Mathematics, Understanding the world and Expressive arts & design. The statutory requirements for the EYFS can be accessed using the following link EYFS Statutory Requirements and a helpful parent guide is also available Parent Guide. The National Curriculum is just one element in the education of every child. 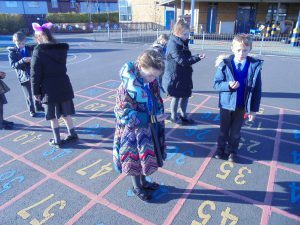 There is time and space in the school day and in each week, term and year to range beyond the National Curriculum specifications.For further guidance on the National Curriculum can be found using the link below. The National Curriculum provides an outline of core knowledge around which teachers can develop exciting and stimulating lessons to promote the development of pupils’ knowledge, understanding and skills as part of the wider school curriculum. Our staff have spent considerable time developing their own long-term curriculum maps for their year groups. These documents outline the content of the curriculum for each year group, across the academic year. They provide insight into what each year group will be teaching. 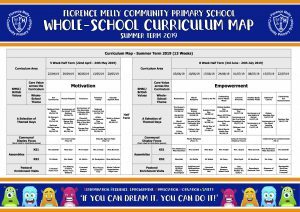 At Florence Melly Community Primary, we are committed to providing inspirational and innovative teaching and the highest quality learning experiences for all our pupils. We aim to create an environment which promotes curiosity, a love and thirst for learning and empowers our children to become independent, lifelong learners. Our children are the ‘jewels in our crown’ and we ensure every child is valued, challenged and encouraged to achieve their full potential.